The Law School has a worldwide reputation for excellence in teaching and research, attracting academics, visiting lecturers and students from across the globe. We are an ambitious, dynamic and friendly law school delivering a first class legal education at an elite Russell Group university. We combine academic excellence with innovative teaching to provide you with the experience, skills and confidence you need to build a successful career. University of Exeter offers a unique blend of academic rigour; including critical, theoretical and reflective dimensions; from one of the top global universities that is also a member of the prestigious Russell Group; with the excitement of experiencing the law in action. Our programmes are taught with a legal profession-facing emphasis on substantive content that is of real-life relevance, whilst developing the academic and practical skills required by the legal profession and employers more generally. In addition, the Exeter Law School challenges its undergraduate law students to maximise their potential. We seek to further the development of its students as independent learners, researchers and problem solvers by placing greater responsibility on individual students, by way of student-centred and problem-based learning, with increased academic and other support in the structure and delivery of our programmes. We offers unrivalled academic stimulation, the opportunity to deepen your understanding of the law and specialise your knowledge in a particular area, and improved career prospects at the highest level whether that be in practice or academia. The Exeter LLM is a substantive, rigorous, and genuinely flexible programme of postgraduate study designed for the most ambitious and capable students. Delivered by some of the biggest names in legal research, our LLM allows you to create a bespoke programme of learning addressing your specific academic and professional needs, readying you to fulfil your career ambitions or for doctoral study. Our faculty is able to teach and supervise an extensive range of subjects (both at domestic and international level), with particular specialities inspired by our renowned research in the areas of Commercial Law, Public Law, Human Rights Law, Family Law and International Law. we aim to offer as many activities as possible to help broaden your career development and equip you with the skills employers find most valuable. These include employer visits, mooting, pro bono and skills sessions, which provide many opportunities to meet and interact with potential employers. We benefit from a network of professional contacts locally, nationally and internationally who attend our annual Law Careers Fair. Our extensive alumni network is keen to offer mock interviews, mentoring and work placements to Exeter law students. 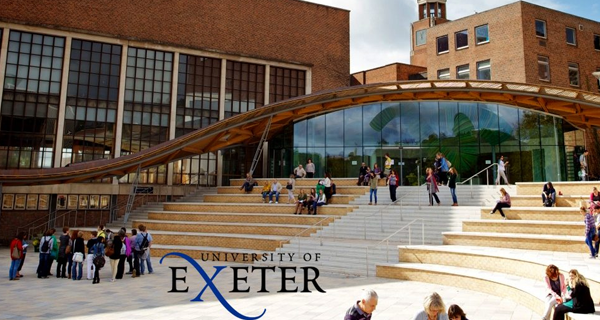 A Law degree from the University of Exeter will provide you with a wide range of skills suitable not only for a career as a solicitor or barrister, but also in the wider world of business including finance, administration and commerce. Skills such as assimilation of large amounts of material, commercial awareness, writing concise reports and problem solving, which you will develop during your degree, are vital to a range of graduate recruiters including those in government and general management. The law library located in the forum holds in excess of 40,000 volumes and is open 24 hours a day. In addition to United Kingdom, Commonwealth and some United States holdings, the collection is particularly strong in European Union, French and German law. We also offer access to Lexis, Westlaw and Eur-lex, and other online legal databases. You can choose from diverse study spaces to suit your specific learning needs, whether dedicated quiet study, group work, or social learning over a coffee.